Whether exploring your own backyard or somewhere new, discover the freedom of the open road with Lonely Planet Pacific Coast Highways Road Trips. Featuring four amazing road trips, plus up-to-date advice on the destinations you’ll visit along the way, explore America’s creative coast’s breezy, wildlife-rich highways with your trusted travel companion. Jump in the car, turn up the tunes, and hit the road! 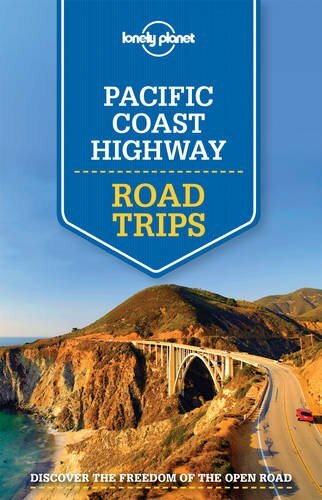 The Perfect Choice: Lonely Planet Pacific Coast Highways Road Trips is perfect for exploring California’s coast in the classic American way – by road trip! Looking for more extensive coverage? Lonely Planet California, our most comprehensive guide to the region, is perfect for exploring both top sights and lesser-known gems, or check out Discover California, a photo-rich guide to the region’s most popular attractions. Looking for more specifics on your road trip pitstops? Check out Lonely Planet’s San Francisco and Los Angeles guides for a comprehensive look at all these cities have to offer, or Pocket San Francisco and Pocket Los Angeles, handy-sized guides focused on the can’t-miss sights for a quick trip. For more road-tripping ideas, check out Lonely Planet’s Road Trips guides to Route 66 andSan Francisco Bay Area & Wine Country and Lonely Planet’s Best Trips guides to California, New England, Southwest USA, Pacific Northwest, Florida & the South, New York & the Mid-Atlantic, and USA. Or start with our FREE SAMPLER ‘3 of the USA’s Best Road Trips’ with excerpts from each Road Trips guide to help you pick which region to explore first. Also, check out Lonely Planet’s Road Trips guides to ChÃ¢teaux of the Loire Valley, Normandy & D-Day Beaches, and Provence & Southeast France and Lonely Planet’s Best Trips guides to Italy, France, and Ireland for some European road trip inspiration.